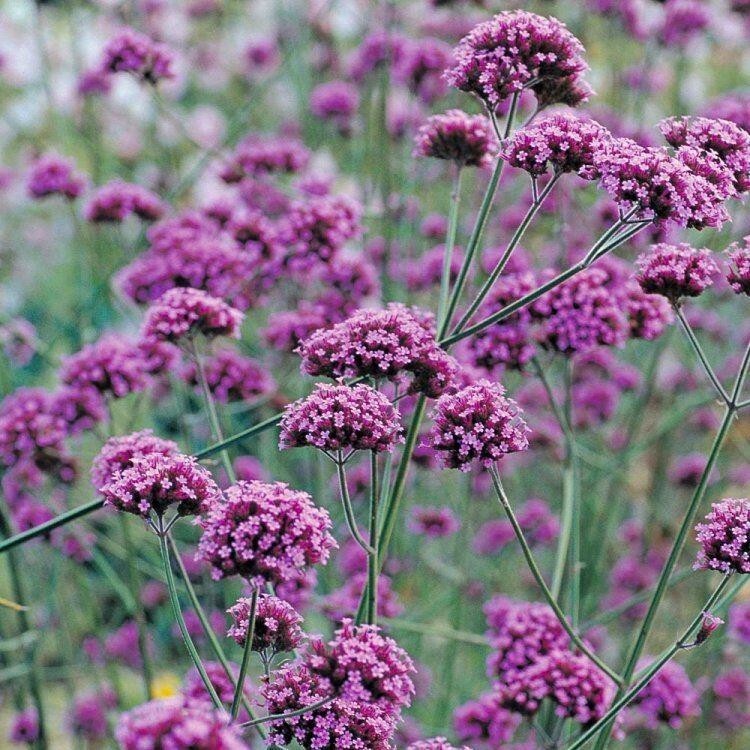 Something special, this tall (100cm plus) border perennial produces slender flower stems bearing small purple flowers on branching tips from June to October. The plant is strong with dark green foliage and works well planted in a group for best effect. It can also be used as a cut flower. Winter hardy in most parts of the country doing best in a well drained spot. Never out of flower all summer long and a magnet to butterflies and beneficial insects, this is one of our recommended plants. Please order now we have limited quantities of this rare, choice and unusual plant. Pack of TWELVE quality plants in approx 1-2 litre containers ready to fill your garden.